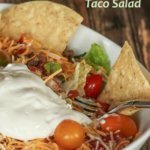 This Taco Salad is old school and delicious. 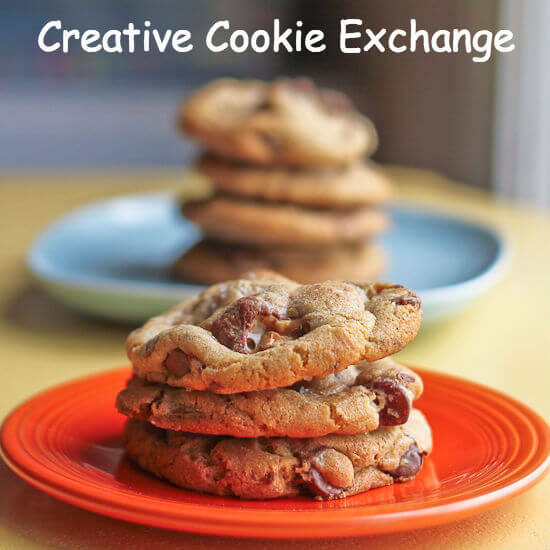 No fancy ingredients required, and it whips up in minutes–and makes everyone happy! 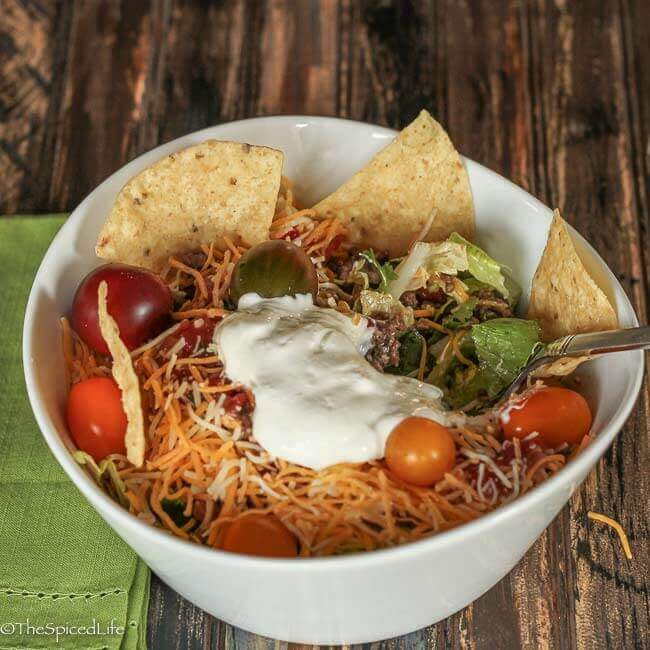 This is taco salad. And yes it has the word taco in it. But this is not Mexican food. This is not really even southwestern food. This is what passed for both of those in the Midwest in the 1980s. And it is my comfort food. OK if I am honest this is definitely gussied up from what we ate in the 80s. My mom would never have added cabbage (the crunch is awesome–don’t knock it ’til you try it! ), and there were plenty of nights we ate this without any spices(!). And it was always all ground meat, never any beans and corn. But the soul of the dish remains the same–bastardized midwestern “Mexican” food. My family–extended and nuclear– adores this dish. Actually I don’t know anyone who doesn’t, which is why it is always first on our regular family meals at the beach. Easy, refreshing, customizable, and no one complains. For those same reasons, it gets pulled out more than a few times a year as well. Part of me was mortified to share it with you, but then I thought hey bloggers have easy weeknight standards also, and this one is refreshing and delicious, even if it is a little low brow. 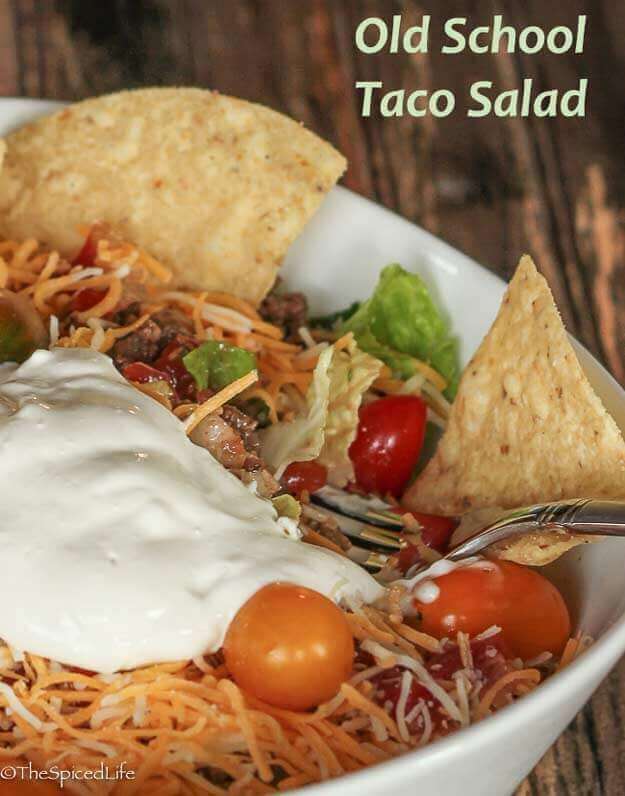 And speaking of delicious, I cannot even look at these pictures without craving more taco salad, so I think I know what’s for dinner tomorrow…. This is a common sense recipe, meaning that amounts are very general and dependent on how many you are feeding. I prefer Jack's Salsa, but use whatever salsa you like best. Chop up the lettuce and cabbage--I like to use a plastic lettuce knife so that if we have leftovers the edges will not rust. Keep the ratio at about 60-70% romaine lettuce hearts and 30-40% cabbage. Place in a large bowl and toss together to mix evenly. Heat the oil in a nonstick skillet. Add the chopped onions with a pinch of salt. Cook, until softened and translucent, about 10 minutes. Add the garlic and cook an additional 2-3 minutes. Add the ground beef and break it up. Cook until the beef is browned. If you are using black beans, add them now, as well as corn if you are using that. Add the spices and a large pinch of salt. Mix and cook for 5 minutes to meld the flavors. Remove from the heat. When it is just the family, I serve the meat from the cooktop, but for a fancier occasion, transfer the cooked meat into a serving dish. Let everyone assemble their own salad. I have a personal hang-up that I have to add the salsa in between the cooked meat and the cheese, to keep the cheese from melting. That is why you cannot see the salsa in my pictures. 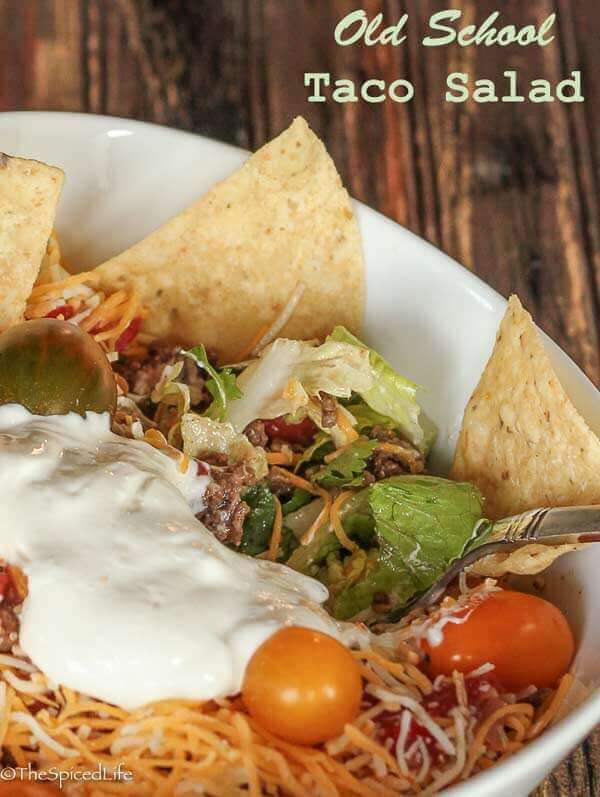 I used the tortilla chips for the pictures because they look nice and most people like them, but truthfully the crunch of the cabbage is enough for me, and I usually skip the chips!